Circular outline. Circular, concave discus has central filling hole with rounded, raised framing ring, rays, flat, raised framing ring, and small unfinished airhole at front. Flat shoulder has grapevine motif of two leaves and two clusters per side (schematic). Flat kite-shaped nozzle. Few clay globules in grooves. 7.5 YR 8/6, reddish yellow. 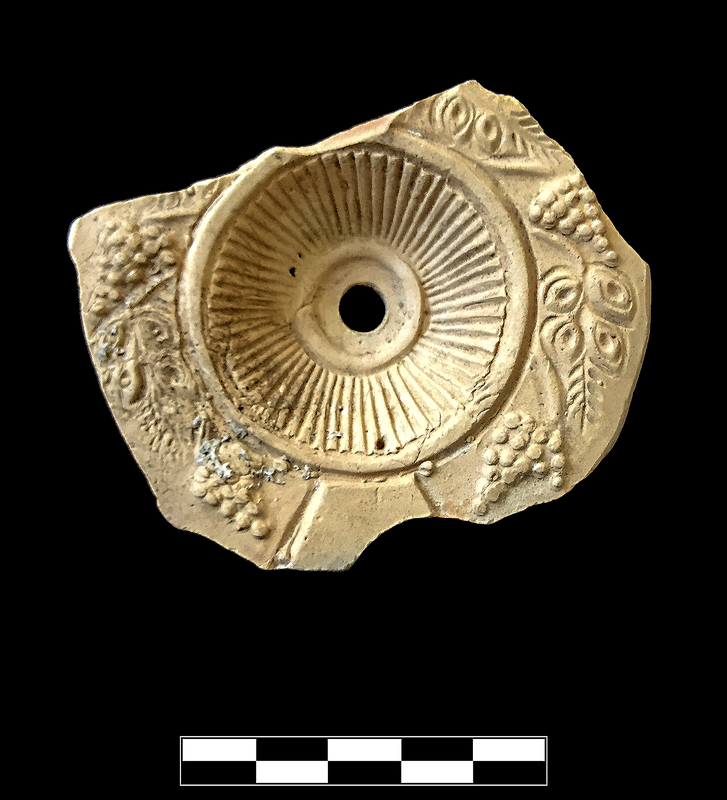 Early/Middle Roman Corinthian pale lamp fabric. 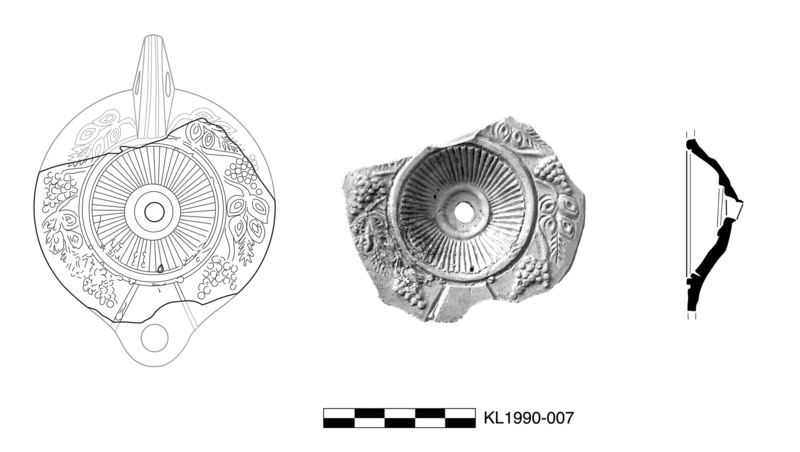 One large fragment preserves entire discus, most of shoulder, and small part of nozzle. Slight, sparse abrasion.